Norwegian School in Horten (UAV Web-Up). AU offers Software Development either as a part of a team or be in charge of the total software development. AU consultants has a vast experience in using multiple platforms and program languages. With the wealth of knowledge and experience that AU possesses in the field of Hardware and Firmware Design it provide its customers with the skills and ingenuity that is required to meet their requirements. AU can be a part of a development team or represent the Hardware and Firmware design authority in a larger project. AU assists and helps customer from the initial product or system idea and develop. With it extensive knowledge and know-how AU will bring the ideas to life and ready to hit the market. AU has over the years accumulated at widely acknowledged Project and Program Management skills. AU provides its customers highly skilled Managers to assist in running successful programs and projects. The main strength of AU's fixed-wing Xr-T9 is its ability to remain in the air for extended periods of time, often beyond the maximum time a pilot is allowed to fly. Equipped with fuel cell and solar panels the Xr-T9 can remain airborne for up to 72 hours with a maximum range of up to 5,040 km. radar, biological, and chemical sensors for the detection of airborne biological and chemical agents. The Xr-T9 has a number of advantages that could be exploited in Industry, the emergency services and within scientific research. The mining industry for instance could make use of the Xr-T9's high endurance for mapping large swathes terrain and for detecting potential mineral deposits. Indeed the Xr-T9 is ideal for all manner of geological survey and mapping where the purpose is to gain a "bigger picture". Another advantage to having automated "eyes in the sky" is the potential for rapid response to emergencies as demonstrated by their successful use in forest fire monitoring in the US. UAVs have also been proposed as platforms to monitor extreme weather phenomena such as hurricanes and to assess hard to reach disaster zones. The main strength of AU's rotary-wing Xr-T8 is that it is highly maneuverable and unlike its fixed-wing counterparts is not constrained by flight patterns and minimum airspeeds. 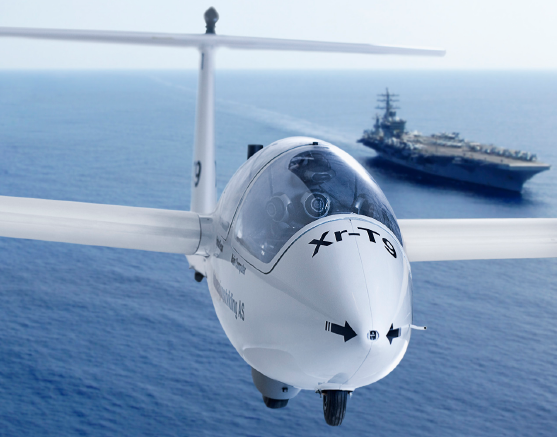 As a vertical take-off and landing (VTOL) aircraft the Xr-T8 is a highly responsive and flexible aerial platform that requires no runway or launching equipment. 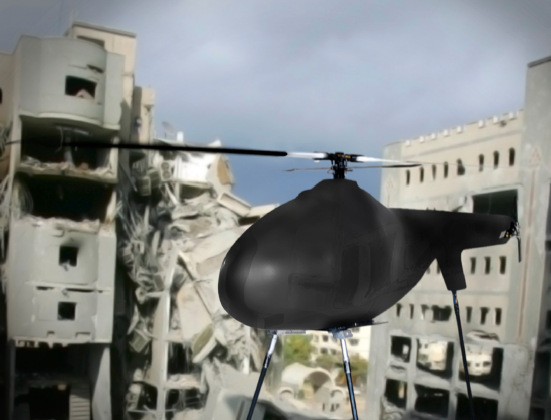 This makes the Xr-T8 particularly useful for tasks where space is limited, for example in urban warfare operations, or to perform "fly on the wall" surveillance by law enforcement officers in the field. Rotary-wing UAVs are increasingly being deployed in military operations as remote sensing platforms performing intelligence, surveillance and reconnaissance (ISR) missions; as tactical combat aircraft; and as communications relays. The high manoeuvrability of the Xr-T8 makes it well suited to reconnaissance tasks. Having the ability to see over hills or buildings or even through woodland via infrared sensors can give real-time information concerning terrain, personnel, and potential hazards in the vicinity. This provides a real tactical advantage but also helps to keep front line reconnaissance teams safe. The Xr-T8 has many potential civilian applications including operations within the emergency services such as inspecting the stability of collapsed structures, performing search and rescue tasks and assessing road traffic incidents. The slower operational speeds of the Xr-T8 make it ideal for routine inspections of oil platforms, bridges and nuclear facilities. And particularly suited to the checking of pipelinesand power transmission lines that often run through isolated and difficult terrain. 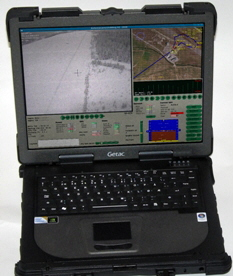 AU's UAV Generic Control Station (GCS) is a single, lightweight computer control station for easy and portable handling. Engineering design and option for execution of swimming pools and swimming pool engineering for a swimming facility in Halsa municipality. Steinkjerbygg KF invites tenderers to an open call for tenders for the construction of a new office building in 5-8 floors, including a basement in Ogndalsvegen 2.